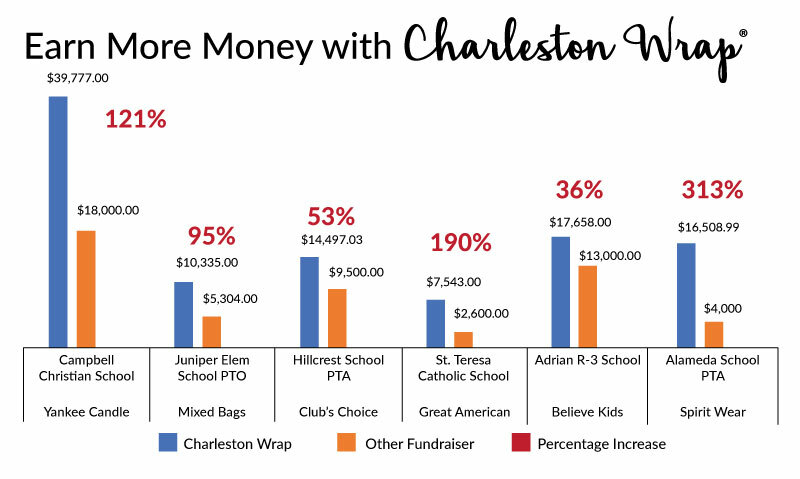 Schools and groups that switch to Charleston Wrap® for their fundraising needs typically see a 30% or more increase in the profits they earn. How? Just ask one of the many schools that have benefited from switching to Charleston Wrap®! Getting buy-in from parents for your school’s fundraiser can make or break your goals – In fact, parental support is imperative and directly affects the profits you earn. But how do you get parents to jump on-board with your fundraiser to meet and exceed your goals? 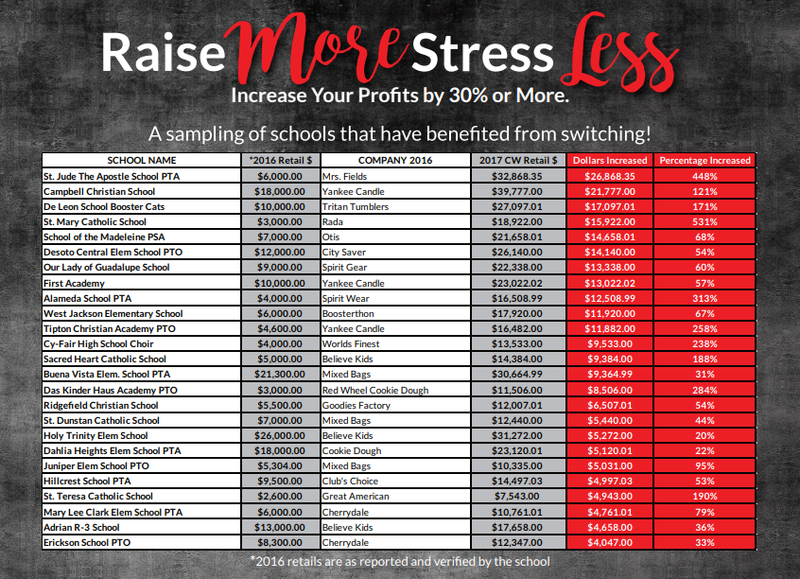 Well, there’s a science behind this whole thing we call fundraising, and we’ve laid out several key factors that contribute to how your school can earn 30% more profit with Charleston Wrap®. Product Selection. Providing a fundraiser that offers quality products parents actually want to buy makes all the difference. Simply put, if parents don’t like what your fundraiser has to offer, they aren’t going to buy into it. Ultimately, the more your supporters buy (because they like what they see! ), the more funds your school puts in the bank – leading your school to higher profits. TIP! If you’re in the process of comparing more than one fundraising program, compare the catalogs! 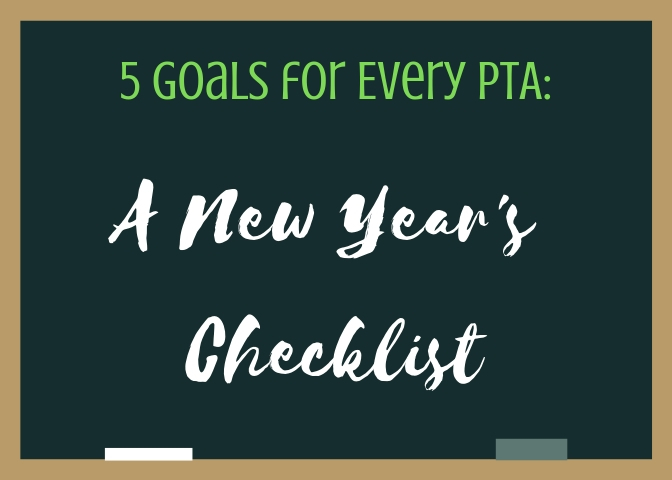 Ask a PTA volunteer to write down the items they would personally purchase from each catalog. More often than not, they’ll find more items they would rather purchase from Charleston Wrap® when compared to other companies. This is a direct reflection of how your parents and supporters will order as well – and it will certainly have an impact on your goals and results, too! Better Value. It’s no secret that with better quality products priced right, supporters won’t feel the “gotcha” of having paid top dollar for bottom of the barrel. At Charleston Wrap®, we price our products at retail levels, not high fundraising prices. Why is this important? Since you won’t burn out your supporters with poor quality and over-priced products, parents will be very willing participants this year and next year, too! TIP! Make sure you compare prices. 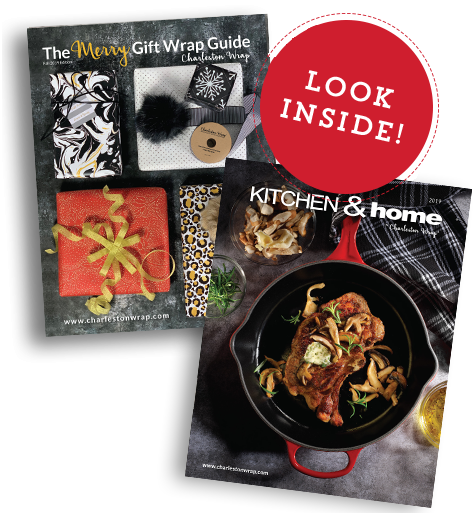 Many fundraising companies will not publish prices in their catalogs before the fundraising season. FUN FACT: Charleston Wrap’s standard gift wrap rolls are printed on the heaviest paper in the industry for only $8.00 for 40 sq. ft. per roll. Our rolls are always reversible, too! The industry average is a whopping $10-$12 for only 30 sq. ft. per roll. Do your homework to ensure parents are getting a great value – You want them to participate in your fundraiser next year, don’t you? Learn more on why Not All Gift Wrap is Created Equal. Online Experience. Have you seen the online web-stores of other fundraising sites (if they even have one!)? Eeeeek. Let’s be honest, first impressions are everything and that’s exactly how your supporters will feel about supporting your fundraiser. Because online support has increased 30+% over the past several years, Charleston Wrap® has continued building the best online store in fundraising (hands down!) for your supporters. With direct links to your school’s online fundraising store, there’s no hassle, no stress, and no confusion – leading to more orders and more profits! The user-friendliness of our website allows supporters to shop with ease while filling up their carts to support your cause, too! Cha-Ching…you may need a bigger piggy bank. TIP! Be sure to compare fundraising websites before committing to a fundraiser. Online sales are a huge driving force to meeting your goals – don’t lead your supporters back to the 90’s. Also, check shipping charges and make sure your supporters have a free freight option for online purchases. Many companies charge double freight. Don’t miss out on the opportunity to encourage online sales (you want those funds, right?!). Motivating Incentives. Don’t be fooled, you’ve got to get the students and teachers on-board, too. With innovative incentive programs like our Daily Prizes, schools can easily see a 25% jump in participation – which alone will skyrocket your profits right into your pockets. 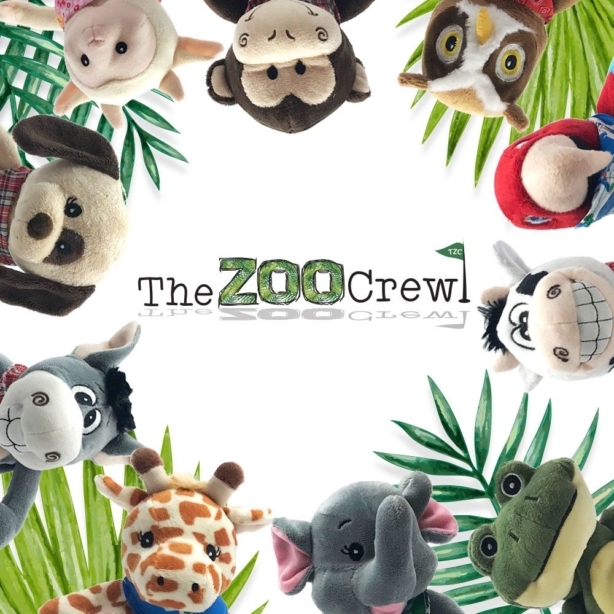 Our proven incentive programs contribute greatly to the success of your fundraising campaign. If you haven’t done so yet, check out our various Incentive Programs. Promotional Tools. To build anything great you need the right tools. The same goes for fundraising. Social media is a huge driving force to meeting your goals. Within minutes, you can reach hundreds (and even thousands) of supporters. We’ve built the tools you need to reach the most people possible – after all, you can’t raise funds without the support of others and we’re here to help you reach the masses. With our email-invite generator and social sharing buttons, it’s simple to cast a wide net and gain supporters quickly. And, the more supporters you gain the more profits you’ll earn, too! Below you’ll find a sampling of schools who have benefited from switching to Charleston Wrap®! We’d love for you to join the fun and watch your profits grow! If your school or group is seeking a profitable fundraiser where you can increase your earnings by 30+%, you’ve come to the right place! Fill out the form below for your FREE how-to fundraising kit and we’ll send you all the information you need to get started. You and your supporters won’t be disappointed.